Guitarists (and Sax players!) making waves in the music world, their new recordings and gear! DON FIORINO: I taught myself the guitar back in 1963, with the intentions of playing bass guitar, and proceeded to play rhythm guitar in a local rhythm & blues band. Having an interest in blues and after seeing some footage of Bukkha White playing slide, on his lap, I became obsessed with the slide and bottleneck guitar. Other background influences include, rock, folk/country, Indian, jazz and improvised music. 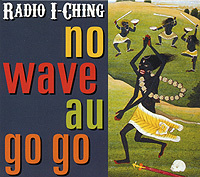 ANDY HAAS: Both Radio I-Chings No Wave Au Go Go and The Hanuman Sextets 9 Meals From Anarchy were recorded by Marc Urselli at East Side Sound in NYC. Both recordings were done live, no overdubs, and Marc got a great sound from all the instruments, and there is quite a variety! Both CDs have a sound character that works to help the music have an identity of its own. DON FIORINO: Playing with Andy and his sax over the past 9 years, Ive developed phrasings that are more hornlike than guitar. Playing with Radio I-Ching has allowed me to explore and develop a style which incorporates my interest in the varied genres that I mentioned earlier. Also it allows me to utilize a variety of instruments beyond the guitar which contributes to Radio I-Chings unique sound. ANDY HAAS: I played alto sax for many years, then I acquired a curved soprano. This became my horn of choice. It had the voice I was looking for, a different tonal quality than the straight soprano, which I had never felt comfortable playing. It has a very sweet sound, but can cut through when you want it to. in some situations, I play the horn though effects, usually an Electro-Harmonix 16 second delay and a Digitech Space Station. Its difficult in live situations to get a good blend of the acoustic horn and the electronics. Depends on the particulars at the gig, PA, Sound person, monitors, time for sound check, the room, etc. DON FIORINO: The instrument lineup that I play on our CDs comprise my main axes; 1980 Gibson SG, Godin Glissentar, Fender lap steel, Saga C scale Banjo, 4 string electric mandolin and a Moroccan Lotar. My pedal arrangement is pretty simple; Boss DS-1 Distortion, MXR Phase 90 and Vox Wah pedal. The guitar strings are DAddario XL 10s and XL Chrome 13s on the lap steels. My SG is tuned in a nonstandard tuning developed while playing with the sax. It helps avoid cliché riffs and patterns. The other instruments are in various open tunings. My favorite guitars include two handmade Del Pilar classical guitars, one steel and one nylon string, built by William Del Pilar Jr. of Brooklyn, NY. Also for bottleneck, a pre-1920 Stella. ANDY HAAS: Im drawn to players that have worked to create their own sound and playing language. Players that you can recognize instantly because they have such a personal sound, and create their own world inside the music. Evan Parker, Anthony Braxton, Paul Desmond, Steve Lacy have all been big influences that I heard in Toronto when I first started playing. Also, Ornette Coleman, Sun Ras Arkestra, The Art Ensemble of Chicago, Cecil Taylor, and Derek Bailey, all of whom came to play in Toronto as well. Now I listen to a lot of folk music's, these days a lot of traditional Korean and Arabic music. I like the old recordings, when I can find them, in many cases recorded on location. There is an emotional quality in the music, a directness and lack of artifice that came from the recording medium being something new. Whether or not the artists realized these recordings would live on long after they were gone, their spirit lives on in their music. I've read about a number of guitarists who have talked about trying to sound like sax players on their guitars, it was mostly like Coltrane. I often thought about it the other way around...how could i try and sound like Hendrix on my sax. I think that was part of my interest in using effects, wah-wah and distortion don't work so well on the horn, except for the wah on Ian Underwood's sax solo on Chunga's Revenge, but the speeding up/slowing down and changing of directions (forward/reverse) of phrases or melodies, and more severe pitch bending sometimes give me that sense of entering into Hendrix's sphere of sonic influence, and of course I loved the way he played the blues with a psychedelic twist, feedback sustain and bending notes. Circular breathing, which allows me to play without stopping for a breath, is my way of getting a kind of feedback/sustain. And I love slide players, like Son House, where you can here the sound of the slide on the strings and that dirty sound. Don has that in his playing, among other talents that he brings to all his strings! We have developed a great rapport playing together (give a listen to our first disc together, a duet disc called Death Don't Have No Mercy) over the years, and now that's working out with Dee as a trio. Also, the first rock 'n roll gig i remember seeing was a double bill of Captain Beefheart's Magic Band and Ted Nugent at the old Eastown in Detroit. Must have been in 1971. The Captain played his straight soprano sax into a mike stuffed in the bell and had a pick up drilled in on the neck just below the mouthpiece as well. Loudest damn horn I had ever heard, a formative experience. DON FIORINO: Bukkha White, John Fahey, Blind Willie Johnson, Derek Bailey, Elmore James, Sonny Sharrock, Ry Cooder, Muddy Waters, Ali Farke Toure, John McLaughlin, Hamza El-Din (oud), Mississippi Fred McDowell, Furry Lewis, Frank Zappa...to name a few guitarists. I used to play bottleneck with Carolina Slim (Elijah Staley), who taught me a big lesson. He said I played the slide too clean and that I had to learn to play dirty. Albums: Memphis Swamp Jam (various Delta bluesmen, live), Transfiguration of Blind Joe Death and Requia by John Fahey.